Chickenpox (Varicella, Shingles) is a disease that mostly children get effected. Typically this disease lasts not more than two weeks. 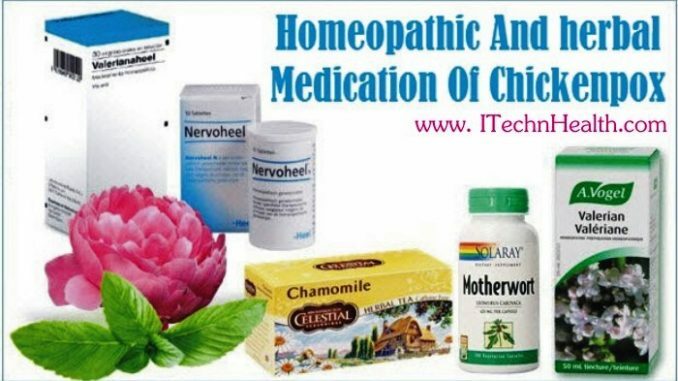 Chickenpox is accompanied by headaches, for which should take acetaminophen (not aspirin), a rash all over the body, weakness, itching, enlarged lymph nodes, and sleep disorders. When you are no longer able to tolerate the itching, try cold baths or sedatives. Here are some home methods that will survive this exhausting time. However, if the patient’s fever persists for several days, severe headache, sore hands and feet, appear vomiting and cough immediately call a doctor. Nervoheel- (Children over 3 years). Make a Tincture of Valerian (a plant with small white or pink flowers), Peony ( a plant with large red, pink or white flowers), Motherwort, Broth chamomile, and Mint. Apply this tincture on body where affected by chickenpox. If your child has a fever or a headache, give him a syrup containing Paracetamol or ibuprofen. Pick your dose to the child’s age and weight, follow the instructions that came with the package. If itching also appear inside the mouth, the easiest way of getting rid of him is a mouth rinse with salt water. You can give a sick little ice cream – it cools the mouth and soothes itching. During his illness better food to eat foods such as oatmeal, use a variety of puddings, jellies, soups and bananas. If the period of the disease occurred in the winter, to adjust the heating system to the lowest temperature, what you can tolerate. In summer, use a fan. Heat increases blood flow to the skin, and it increases the itching. If a child is sick with chickenpox and complains of itching, make him a bath of warm water for twenty minutes. Do not use soap, Instead, add water 1/2 cup of baking soda. You can also use a cold towel, presses it to the most affected places. Make sure that the sick do not comb itself. Scratches can lead to infection and scarring, and so compress safe for the skin. Put the patient in a clean cotton pajamas. Choose pajamas with long sleeves and trousers – they protect the skin from irritation.